Yan Ting is the epitome of wealth and prosperity. This is one Cantonese establishment that specializes in flavourful traditionally-prepared cuisines. 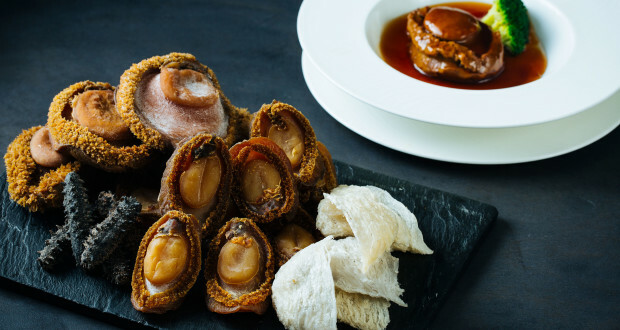 Here, you can dine extravagantly with braised abalone in oyster sauce for a whopping $368 and crispy suckling pig stuffed with glutinous rice ($308). For a less pricey alternative, Yan Ting’s Lavish Set Menu that features braised supreme sea cucumber with corn, braised scallop and luffa with lobster broth, and pan-fried Kurobuta Pork (basically the Wagyu of pork!) with black pepper sauce – all at $168++ per person. The ambiance is pleasing and inviting too. Helmed by the St. Regis team of masterchefs, Yan Ting showcases exquisite yet hearty Cantonese fine dining that will allure palates to satisfy even the most discerning gastronomes. It presents cuisines that are faithful to the traditional cooking techniques of Cantonese cuisine as characterised by the immense diversity of ingredients used and the philosophy of bringing out the natural flavours of the freshest ingredients. It is the ideal place for celebrations, joyous gatherings, and entertaining. Yan Ting has been artistically designed with contemporary architectural style and modern sophistication to create an intimate, graceful and serene atmosphere where diners will receive the uncompromising service standards of the St. Regis. Taking a hint from its name that means “surging with silver”, you would best be prepared for the splurge in this fancy 25-seater restaurant. 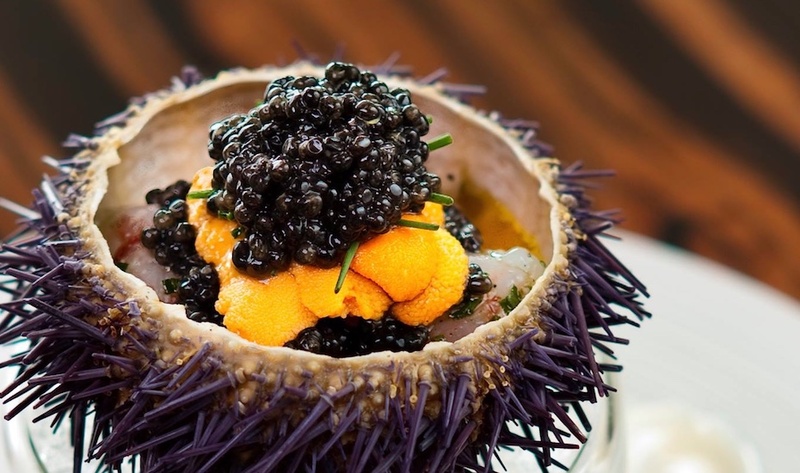 One thing is for sure – for a baffling $400 per pax for its 10-course menu, chef Tetsuya Wakuda will bring on a tour to culinary haven with his specialties like marinated shrimp with caviar and sea urchin, and citrus soy and wagyu with wasabi. The splurge is definitely worth it, since it is a 25-seater restaurant that is exclusively reserved for the elite few. The patrons are the high rolling society or high net worth individuals dining with groups of friends, relative and premier tourists. 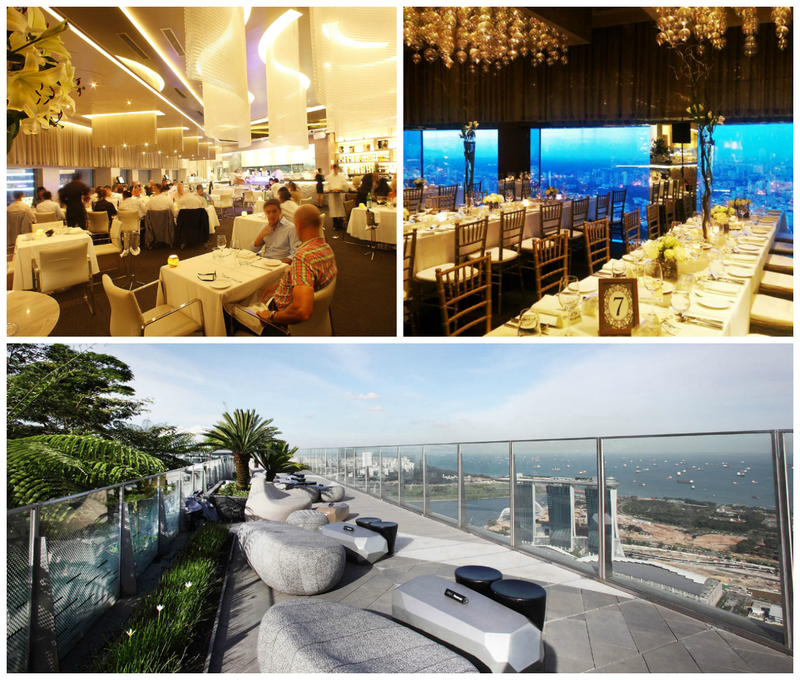 A swanky restaurant located 62 stories high, Stellar is the joint where you can dine luxuriously. 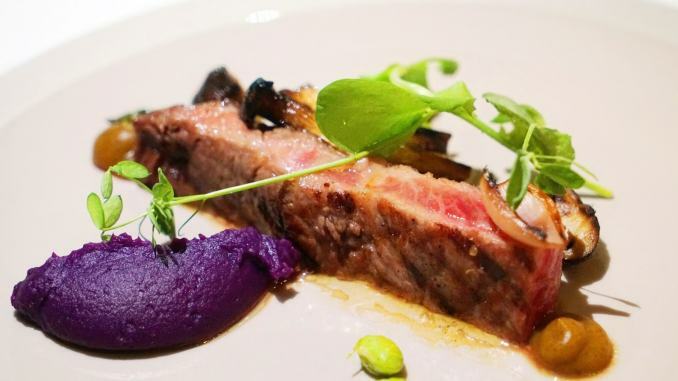 Resting one floor above Singapore’s premier VIP Club Altimate, Stellar ups the ante with menus curated by Executive Chef, Christopher Millar, who carefully prepares all the fine dining dishes with tender loving care which includes his secret sauces. Its menu ($130++, add $98++ for wine pairing) with prices reaching sky high, includes seared Hokkaido scallop with Belon oyster, pancetta and morcilla purée; seasonal organic white asparagus soup; and chocolate pralines as its star attractions. 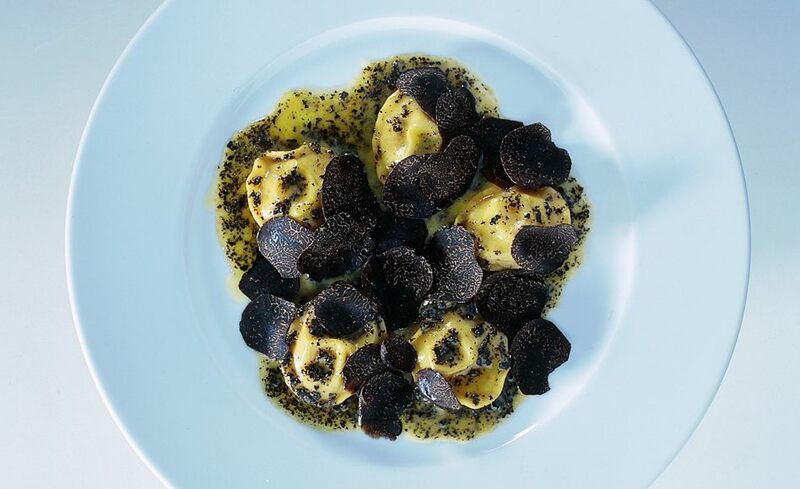 For an eight-course selection at $190++, Stellar is one of most affordable options. At Stellar, there is a breath-taking view with quintessential progressive Australian cuisine, where texture, quality of ingredients and purity of flavour are supreme. 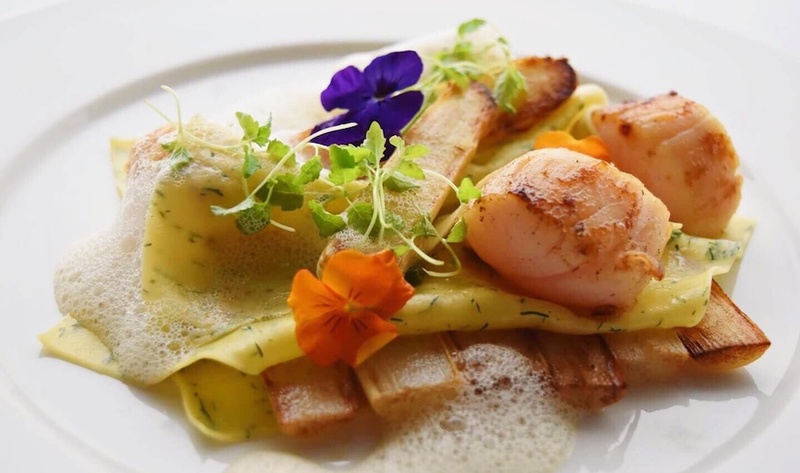 Their professional service team and chefs deliver an exceptional dining experience through their knowledge and genuine hospitality that has made Stellar one of the best restaurants in Singapore. The ambience is also elegant contemporary with a modern sophistication and comfortable sofa chairs located beside tables covered in squeaky clean white table cloths, to complement the white lighting hanging from the ceiling. A jar of faux daffodils is placed on the side as eye candy. Wine glass is placed for each diner and they can toast to celebrate any occasions by opening the wine bottle and filling the wine glasses to ‘yam seng’ or bottoms-up. Like the name of a tavern, this well-regarded restaurant in Hilton is where you can treat your loved ones to one regal feast – Award-winning Sommelier and restaurateur, Ignatius Chan, created this fine dining setting which clinched the Best New Restaurant award at The 2006 World Gourmet Summit. It’s no wonder the well-heeled keep coming back for its Gastronomic Menu that parades foie gras royale (with beef consommé, egg and black truffles), black throat sea perch (with ginger flower, eggplant, and yuzu) and Toriyama strip loin and Blackmore flank (with mushrooms and egg). The restaurant also offers a vegetarian option. Operation Hours: Open daily except Wednesdays and Sundays, 12 noon – 1.30 pm and 7 pm- 9.30 pm. If the concealment veiling Whitegrass was a purposeful effort to arouse diners’ interests, they certainly did a pretty good work. 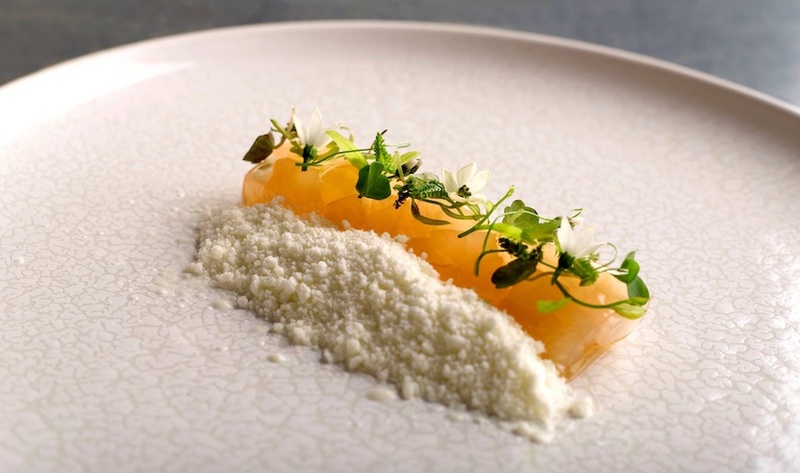 The restaurant, opened on 27 January 2018, is helmed by Sam Aisbet, alumnus of Tetsuya Wakuda’s acclaimed Tetsuya’s in Sydney (Top 50 restaurant in the world). The chef’s new fine-dining venture aspires to redefine modern Australian cuisine, placing an attention on fresh ingredients sourced from the Tekka market to the Blue Mountains. Dishes worth digging into include the Australian pasture fed Black Angus beef, Buah Keluak ( “football fruit” made edible by fermentation) puree, Monks Beard, fried pumpernickel (a dense German bread made from whole meal rhy), and fiddlehead fern. Other notable dishes include raw shaved Japanese yellowtail, white beetroot, smoked organic soy and the ubiquitous caviar. Whitegrass, #01-26/27, 30 Victoria Street, Chijmes.